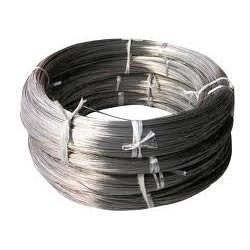 Pioneers in the industry, we offer nimonic 80a wire, nimonic 75 wire and 90 nimonic wire from India. NIMONIC® alloy 80A (UNS N07080/W. Nr. 2.4952 & 2.4631) is a wrought, age-hardenable nickel-chromium alloy, strengthened by additions of titanium, aluminum and carbon, developed for service at temperatures up to 815°C (1500°F). It is produced by high-frequency melting and casting in air for forms to be extruded. Electroslag refined material is used for forms to be forged. Vacuum refined versions are also available. NIMONIC alloy 80A is currently used for gas turbine components (blades, rings and discs), bolts, nuclear boiler tube supports, die casting inserts and cores, and for automobile exhaust valves.